King County Prosecutor Dan Satterberg has been a strong voice for criminal justice reform, favoring innovative approaches to steer people toward services instead of jail. Voters should re-elect him for another term. Dan Satterberg is not a county prosecutor content with maintaining the status quo. Voters in King County should re-elect him for another term so he can continue his work to improve and modernize the county’s criminal-justice system. Listening to Satterberg’s opponent, longtime public defender Daron Morris, one would think Satterberg was a rigid law-and-order incumbent unwilling to embrace change. Yet among prosecutors nationwide, Satterberg has actually been one of the strongest voices for criminal-justice reform. Strengths: Satterberg's work includes helping launch the Law Enforcement Assisted Diversion (LEAD) program, which aims to keep people arrested for low-level drug and prostitution offenses out of jail. The program avoids filing charges against these nonviolent offenders, instead connecting them to services such as treatment and counseling. Satterberg’s work includes helping launch the Law Enforcement Assisted Diversion (LEAD) program, which aims to keep people arrested for low-level drug and prostitution offenses out of jail. The program, which is now looked at as a national model, avoids filing charges against these nonviolent offenders, instead connecting them to services such as treatment and counseling. Shortly after taking office in 2007, Satterberg also showed strong leadership by reviewing past cases where people were sentenced to life imprisonment. So far, he has recommended clemency for 18 prisoners whose lengthy sentences he thought were unjust. Meanwhile, the number of children in juvenile detention has fallen dramatically under Satterberg’s watch. While King County had an average daily population of close to 100 kids in lockup in 2007, that number is now down to about 50 per day. This is largely due to the county’s forward-thinking support of detention alternatives, including rerouting kids to weekend mentoring workshops and life-skills programs instead of jail. Even Satterberg, however, says there is much more to do. He wants to expand the LEAD program, and provide more options to avoid incarcerating kids. He also plans to continue advocating at the state level for repealing the death penalty, along with easing barriers for people re-entering society after prison. Morris, who spent two decades working as a public defender, raises legitimate points about areas that could still improve. The county, for instance, should continue incorporating an outside expert’s recommendations into the design and operation of its Children and Family Justice Center, which includes a new juvenile detention facility and is now under construction. Substantial work remains to decrease the disproportionate rates at which people of color are pulled into the justice system and incarcerated, a problem Satterberg also wants to solve. Yet Morris’ suggestion that the county should stop construction of the new youth jail is both impractical and misguided. Six years after voters passed a $210 million levy to build the project, construction is already well underway, with the courthouse and detention portions now only about a year from completion. The new facility is desperately needed to replace the current crumbling and outdated detention center, which doesn’t lend itself to the types of innovative programs King County is trying to expand. At this late stage, Morris’ preference for building separate, smaller detention centers around the region is a distraction from the current challenge: Making the planned youth facility as therapeutic an environment as possible, while expanding detention alternatives to avoid locking kids up in the first place. More broadly, Morris fails to recognize the pushback prosecutors often receive from judges, victim advocates and community members when enacting reforms to send fewer people to jail. Despite Morris’ criticisms that the incumbent has not gone far enough, Satterberg has had to continually defend his attempts to move away from the failed policies of the last century’s war on drugs. At one point in 2015, an adviser to former Seattle Mayor Ed Murray blamed Satterberg for an increase in street disorder, saying the prosecutor had “largely legalized” drug possession. An unauthorized ad plastered on a King County Metro bus once falsely characterized Satterberg as a gang leader who has enabled drug use, increased crime and hates cops. 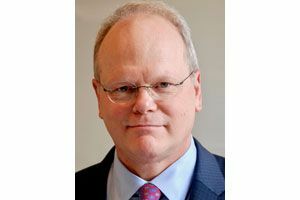 Yet Satterberg has stood by his decision to let people arrested with small amounts of narcotics plead guilty to misdemeanors, rather than charging them with felonies — a strategy he has called a smarter and gentler approach to justice. Over 11 years, Satterberg has built a record of implementing successful and meaningful reforms, even amid budget cuts and fierce spending constraints. At the same time, he understands his office’s responsibility to prosecute serious violent crimes. Voters should return Satterberg to the prosecutor’s office for another four years so he can build upon this impressive work.